You might think that painting is the easy part of your home remodel job. But before you head to the nearest hardware store and grab the first paint with a color scheme that catches your eye, you might want to be aware that there’s a little more to it than that. The most crucial differences in paint types exist at the chemical level, where pigments are suspended in some type of base — most commonly, some kind of oil (linseed oil, tung oil, poppyseed oil or nut oil) or the more common water base. Even within those categorizations, there are different types of finish that will impact how the finished walls look. Here are some suggestions for kinds of paints you might want to be looking for, based on the type of surface you’re painting. Let’s start with one of the most basic, frequent surfaces you’re going to encounter. Oil paint tends to be very rigid and unbending. Wood has a tendency of swelling and contracting with temperature and humidity fluctuations, so putting oil based paint on it will likely cause flaking. This means that you should stick with more flexible water-based paints for your wooden surfaces. Most paint providers formulate water-based paints specifically for interior, exterior or furniture applications, so make sure you’re paying attention to the fine print for the best fit. Oil-based paint is often the way to go for metal as it reduces rust and tends to bond best with the surface. If you’re tackling ironwork or metal trim, this is going to be the paint for you. Just be aware that oil based paint can put off choking fumes, so especially if you’re working in an enclosed area, have a plan for ventilation. 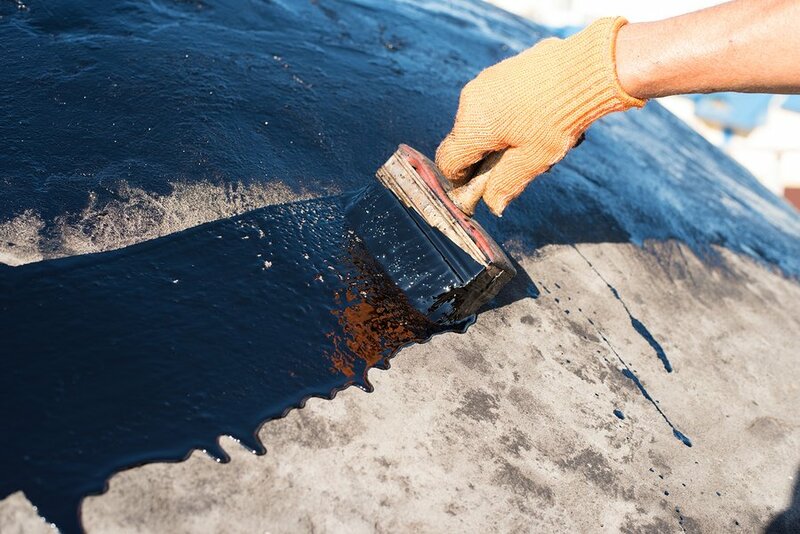 Oil-based paint also doesn’t clean up easily, so you’ll want to be wearing skin protection. The vast majority of walls, both interior and exterior, will do best with a water-based paint. In addition to being easier to apply and easier to clean up due to its water-solvent nature, water=based paint (also referred to by many as latex paint) doesn’t put off nearly as many fumes as oil-based paint usually does. The other thing to bear in mind with walls would be the type of finish. Eggshell and satin paints both deliver a halfway point between durability and shine, so they’re often a good choice for the inside walls in the main rooms of your home. If you need added durability, like in your kitchen or bathroom, a gloss paint is probably going to be your best option. As with walls, you’ll want to stick with the easy-to-clean, quick drying water based paint for your ceilings. As far as the finish goes, this is a great chance to use a matte finish; it will cause the least distracting shine, and since this finish is less durable than its counterparts, an area that should be seeing zero traffic is the perfect place for it. Here is another application for a good oil-based paint. Because trims, cabinets and other embellishments tend to see a lot of scuffing, you’ll want something with maximum durability. Oil-based paint can provide that. It also leaves a very smooth finish, which is a bonus when you’re dealing with elements that are visually eye-catching. As you’ve likely noticed, water-based paint is probably the most versatile. This is why in a given paint aisle, probably 75% of your options will be some variation on water-based. Even though you now know the basics, getting the perfect paint job can still be tricky. Fortunately, we can help! Contact WillowTree today for our input on your next paint job.